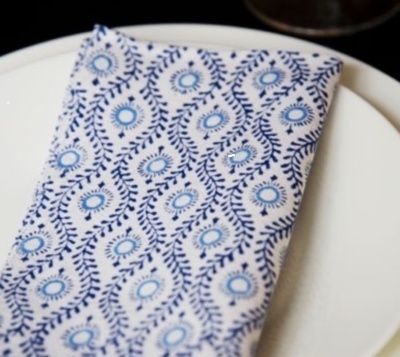 These napkins in Blue and white will always look fresh. Use them with your white china and they will dress up your table for any occassion. Hand block printed made from 100% cotton . Napkin 45 x 45cms.